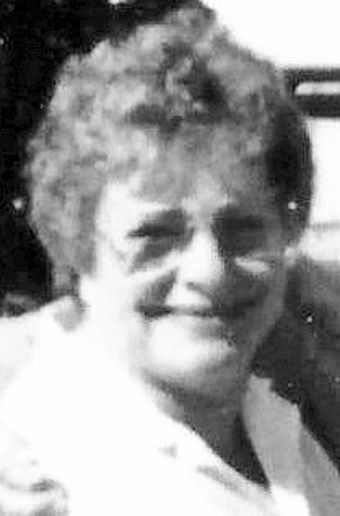 Evadna U. Criswell, age 83 of Salida, passed away on Tuesday September 4, 2018 at her home in Salida, CO. Mrs. Criswell was born December 2, 1934 in Pitkin, Colorado to William and Ida (Flicklin) Monson. Mrs. Criswell enjoyed crocheting, being in the outdoors, spending time with her family and watching the Colorado Avalanche and Denver Broncos. She was proceded in death by her parents, husband Fredrick Criswell, brother Billy Monson, sisters Toddy Means and Wilma Price. She is survived by her sons Rod Criswell of Salida, CO, Mark (Terri) Criswell of Las Vegas, NV, Pat (Pascha) Criswell of Pueblo West, CO, Steve Criswell of Poncha Springs, CO and daughter Starla Nichols of Salida, CO. Sister Alice Jay of Salida, CO, 17 grandchildren and 21 great grandchildren and numerous nieces and nephews. Memorial Services are set for 12:00 PM Saturday September 15, 2018 at the Upper Room Church Of God. Interment will follow at Fairview Cemetery. Friends who desire may make memorial contributions to either the American Cancer Society or the American Heart Association through Lewis and Glenn Funeral Home. On line condolences may be sent to the family at lewisandglenn.com. Arrangements are with Lewis and Glenn Funeral Home.